Due to popular demand, here’s another tutorial on how to install your own self-hosted wiki with XWiki on a CentOS 7 server. We’ve already published a tutorial on how to install DokuWiki on Ubuntu, but if you need an alternative to DokuWiki, XWiki is a great choice. You can get a 2 GB RAM VPS from Linode for $10. But, it’s unmanaged. If you want a Managed VPS, then check out these providers. 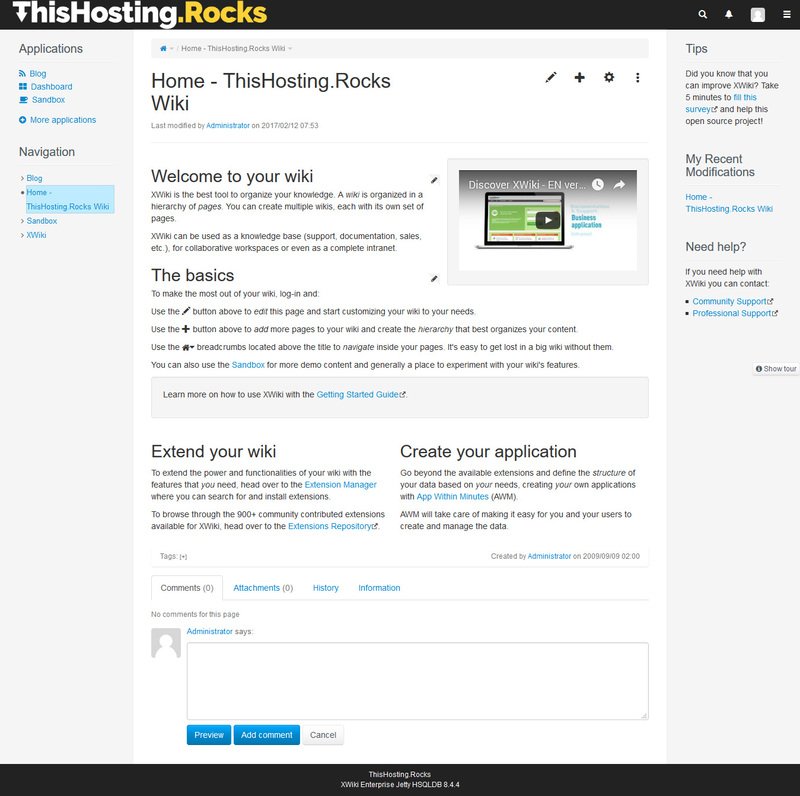 If you get a Managed VPS, they will probably install XWiki for you. We’ll be using a CentOS 7 server for this tutorial. Currently, the latest version of XWiki is 8.4.4, but you can update the command if there’s a newer version of XWiki. Now, the installer will ask you several questions with a prompt to enter 1 (accept) 2 (quit) 3 (redisplay). Most of the prompts can be answered with 1 (accept). The installer is pretty self-explanatory and easy to understand, so just follow the instructions. Wait for the script to do its job and you are done. XWiki is installed and started. It’s that easy. Use them to login and access the admin panel. Have fun editing and using your new wiki!